Green is always interesting color for house decor. This color brings fresh nuance and calm look for anything touched. Green has become one of the most favorite color of many people. They often use green to paint their house, decorate room, interior design, and many more. It because green is looks so nature and as the symbol of environment arround. 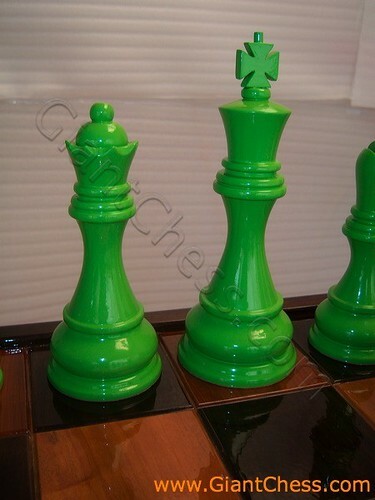 Based on that reason, we present you color chess pieces that polished in green color. These color chess have adopted from modern styleand nature nuance. It will escape you from the ordinary chess and make your chess game more interesting. You may use it indoor and outdoor, because those are made from best quality of Teak wood and durable in any seasons.